Kitchen cabinets need not be expensive to look beautiful. Besides function (storage of kitchen utensils and food), it should also look good to complement the look of your kitchen. There are many different materials to choose from when you decide to build your cabinet. What you need is a good design layout, accurate measurements of the area, and the necessary tools and equipments. 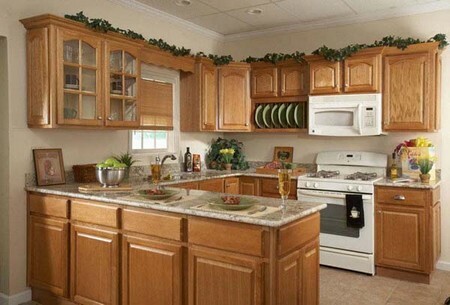 Revamped or new cabinets help to enhance the overall look of your home. Why not give your kitchen a mini makeover today by building a new kitchen cabinet? 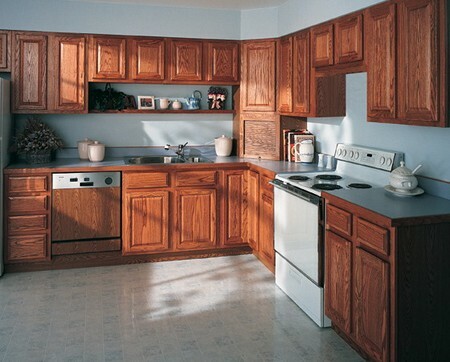 Here are some basic steps to show you how to build a kitchen cabinet. Firstly, measure your kitchen area, especially the area where you plan to have your cabinets fitted in. Is it above the refrigerator? If yes, then take into consideration of the layout and height. The blueprint for your building functions as a guide in completing the process. You may also read up more to generate ideas on the type of kitchen counters and cabinet that you prefer. Next, get the materials. The common material used is wood. Depending on your budget, different types of wood have different prices. Inexpensive wood may work just as well. However, you may need to glaze or paint it when you’re done. Double check the measurements before you head out to buy the materials. If possible, get the wood professionally cut. This saves a lot of time. Also, ensure that the woods are in good condition (no lesion). The finished design should also be practical, meaning that you can easily access the items easily and organize your kitchen items effectively. You can still make adjustments and alterations to your plan prior the start of building. Buy your materials from a good, local hardware store. Accurate wood measurement is crucial because buying the wrong size will cause you to incur higher costs. You can start building section by section. It is a flexible process. Next, feel free to paint or glaze the finished cabinets. You now have brand new kitchen cabinets that will add some jazz to the look of your kitchen! These are some of the basic steps on how to build a kitchen cabinet. Lastly, remember to always wear protective gear when working with wood and dangerous tools. You should be pleased with the final design of your cabinets. Ensure that the doors and drawers can be closed and opened smoothly. If not, you may want to oil the hinges or sand some parts.